The first reaction to the headline of this story might be, “Well, they can’t get any worse.” And that’s true. The Buffalo Sabres finished 31st and last in points during the 2017-18 season. They were a bad offensive team (last in the league at 198 goals), and they were a bad defensive team (29th in the league with 278 goals allowed). The special teams were below average. It won’t take much, then, to improve on all that. It should happen, for a variety of reasons. Let’s look at some numbers to start the discussion. The Sabres were well under .500 last season. Those teams tend to float back toward average, all other things being equal. The structure of the league is set up to do that, in terms of draft and the way teams dump potential free agents before the headline. That’s one checkmark. The Sabres went from 78 points in 2016-17 to 62 points in 2017-18. Teams that lose ground in the standings one year tend to rebound the next. It’s not an absolute rule, but it’s a trend. That’s two checkmarks. The Sabres were unlucky last season. They went 5-11 last season in one-goal games for a winning percentage of .313. They had an overall winning percentage of .378. A lot of clichés come out of the woodwork when that happens, but usually that just comes down to bounces. Bad teams usually are pounded in games decided by multiple goals, because by definition they aren’t often as good as their opponent. Good teams do bad teams a favor when they allow poor opponents to hang around. The Sabres’ luck should be better in close games this season. That’s three for three. In other words, three indicators are headed in the right direction. There are no guarantees, but probability for improvement is on the Sabres’ side. All right, where else is the reason for optimism? The Sabres should have a deeper roster this season thanks to the way they completed a couple of trades involving elite players. Buffalo sent Ryan O’Reilly to the St. Louis Blues for a big package. It’s always unusual and risky when a bad player sends its best overall player elsewhere for a number of assets, and O’Reilly’s two-way contributions will be missed. However, they received forwards Vladimir Sobotka, Patrik Berglund and Tage Thompson along with a couple of draft choices. You may have noticed that the Sabres weren’t long on depth last season, and at times they didn’t have enough NHL-caliber players on the ice. This deal helps that. In the meantime, Buffalo sent another package of assets to Carolina for left winger Jeff Skinner, a proven goal-scorer. The Sabres gave up three draft picks, none in the first round, and a prospect for Skinner. In other words, they dealt part of their future – with none of the picks figuring to be major building blocks – for someone who can help now. Skinner can help fill the scoring void on the ice left by the departure of winger Evander Kane, and he’ll do it without Kane’s whispered trainload of baggage about his influence in the locker room. Then add the way the Sabres took advantage of the Penguins’ wish to cut some salary by acquiring forward Conor Sheary and defenseman Matt Hunwick for a conditional 2019 draft choice (a third- or fourth-rounder). Also add the free-agent signing of goalie Carter Hutton, who has put up some good numbers in his career but never gotten the chance to be a No. 1 goalie. Buffalo’s netminding under Robin Lehner and Chad Johnson last season was at best inconsistent. Combine those four transactions, and you should have a roster that will be better. That’s progress. If we can guess that the Sabres will be better in the short term – maybe not make-the-playoffs better, but better – the next part of the preview is tougher to predict. 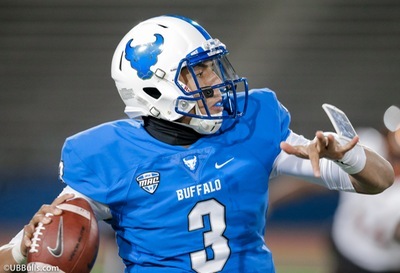 Buffalo seems to have some promising prospects in the pipeline. It all comes down to timing. When will they be ready, if ever? Linus Ullmark has a chance to become the Sabres No. 1 goalie this season. Can he handle that task? Casey Mittelstadt has some obvious skills, but may need to grow into a role as the obvious No. 2 center. Will that happen this year? Speaking of centers, the Sabres are paying Jack Eichel to be their leader and 100-point scorer. He’ll be 22 around the end of October. Can he do that soon? 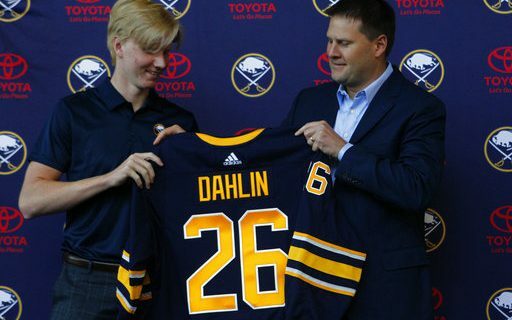 Rasmus Dahlin obviously has a great chance to become an NHL star, but he’s 18. The best is yet to come. In the meantime, can he provide enough quality minutes to reduce the minutes of Rasmus Ristolainen? That probably would make him a better player, and it would have a ripple effect throughout the entire defensive unit. That’s not all. Are Alexander Nylander and Brendan Guhle going to be able to take a step and stay on the Sabres’ roster? Will Rasmus Asplund and Lawrence Pilut be ready to contribute at an NHL level at some point this season? The answers to all those can be summed up in the phrase, “It depends.” Some of those young players will be surprisingly good, some will be disappointing, and a third group will be like the Magic 8-Ball’s reply, “Ask again later.” Certainly some of the answers will be positive ones, though, and that will make the team better. This is a Sabre team, then, that should be interesting to watch – unlike last year’s unlikeable group. Buffalo has done nothing but sell the future for the past few seasons, because that was all it had to sell. This time, we can see in the distance what the next good Sabre team might look like, even if it comes with no guarantees. It’s difficult to believe the Sabres will finish last again. Ottawa would seem to be a likely candidate for that distinction, and Montreal and the New York Rangers don’t look like powerhouses either. Buffalo, then, seems likely to do some climbing in the standings. Anything better that means the team is well ahead of schedule.